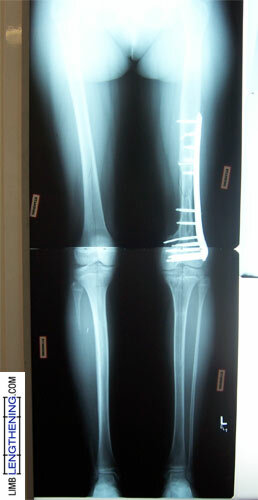 Karina had a bone tumor removed from her distal femur. 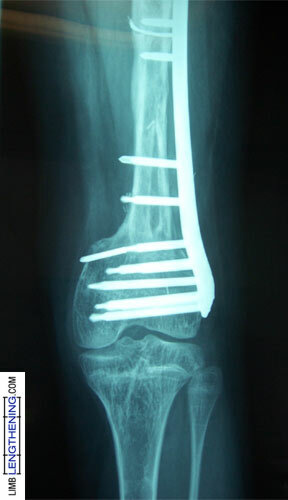 Initial reconstruction resulted in nonunion, 7 cm shortening, and varus deformity. 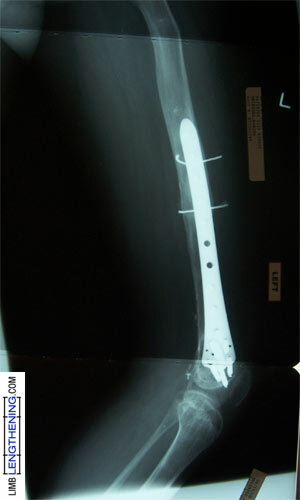 Surgery was done to repair the distal femur nonunion, correct the varus deformity, and lengthen the proximal femur with an Ilizarov/ Taylor Spatial Frame. 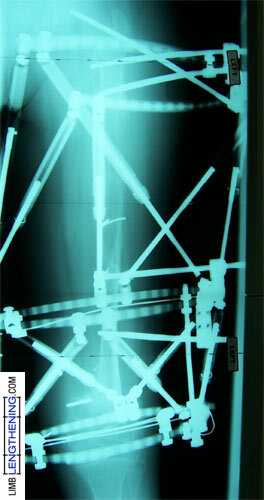 After a 7 cm lengthening and deformity correction, Karina is funtioning very well.